It is entirely conceivable that you haven’t heard of John Harrison, the 18th century English carpenter who invented the marine chronometer and revolutionised long distance sea travel by solving the problem of establishing the longitude of a ship at sea. It is equally conceivable that you haven’t heard of Dr John C Taylor who has given us one of the most commonly used household appliances, the cordless electric kettle. These two John’s are united across the centuries by much more than the shared spirit of invention. John Harrison invented bi-metal to temperature compensate his sea clocks to enable seamen to navigate the oceans; John Taylor uses bi-metal to control a billion electric kettle controls made under his patents. 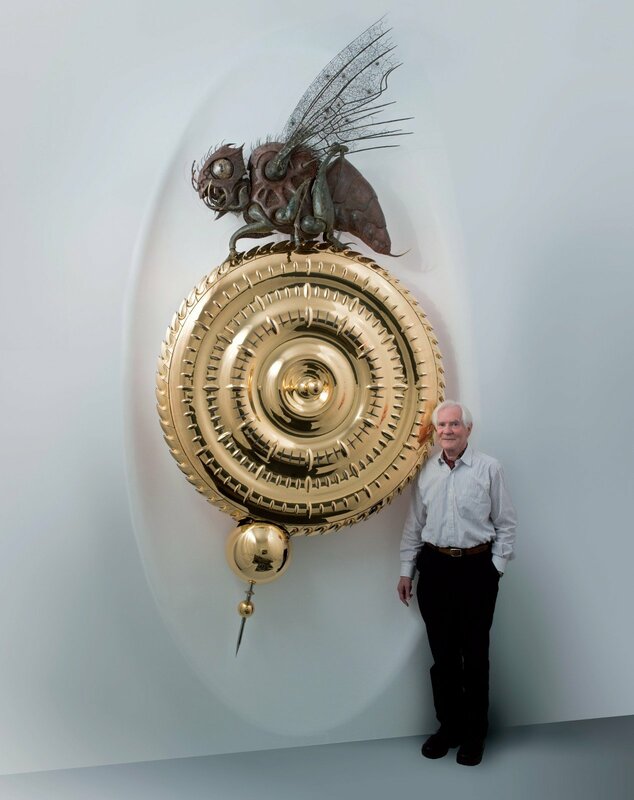 John Taylor is the creator of the Chronophage, a giant ‘time-eating’ clock that compels us to examine our perception of the passage of time, and the owner of the largest collection of rare pendulum clocks in the world. 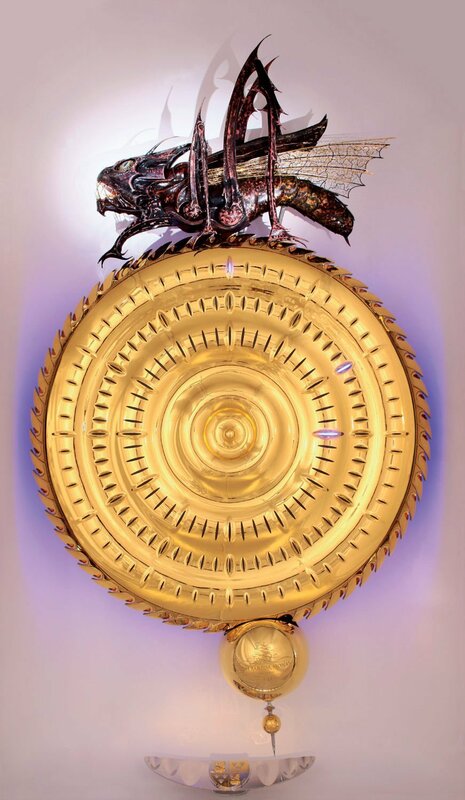 The Chronophage, a 1.5 metres circular construction made of 24 carat gold-plated stainless steel, is John Taylor’s homage to John Harrison. 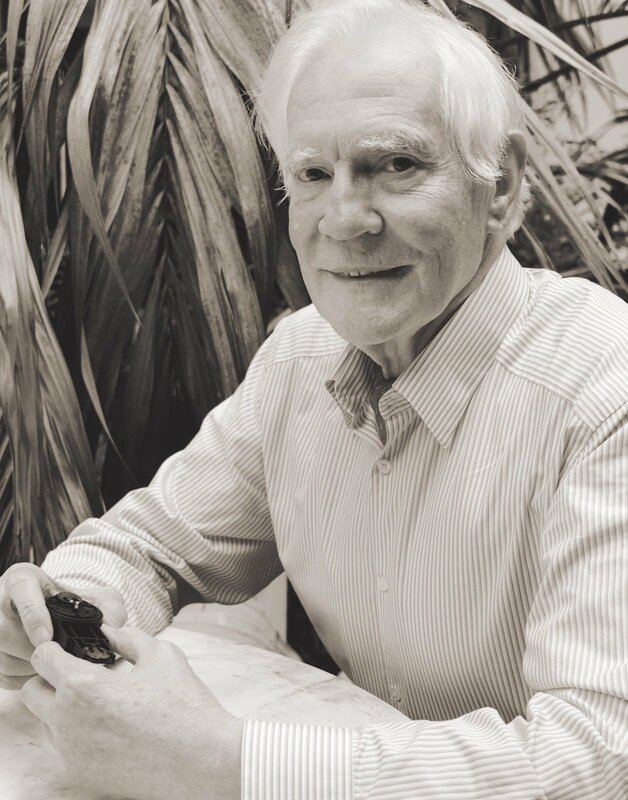 We met with John Taylor to ask how his passion for horology began, how the mind of an inventor moves, and how he personally challenges the ultimate enemy of us all: time. I have been interested in clocks for 40 years. The interest in clocks came through my lifetime love of flying. I went solo 57 years ago when I was 16. Japanese cars in the 1970’s were being exported to the US but they hadn’t taken into account the severe weather conditions in America. The amount of snow in the US meant that the wipers were bogged down and the electric motor on them couldn’t handle the extra weight causing overheating, even catching fire and exploding. In 1974 Nissan’s supplier got in touch with my father’s factory in Derbyshire for help to overcome their problems and I started flying to Japan on a regular basis. To comply with traditional Japanese protocol and courtesy I had to fly First Class but even this, after six or so visits, lost its appeal. Whereas I had established a technical relationship, I still had no firm order or commitment for a long term ‘knowhow’ agreement. I conceived the idea of flying to Japan in the company airplane, a little Piper Aztec. We eventually landed in Anchorage. (Couldn’t get permission to fly to Russia, so had to take a commercial flight from there.) My Japanese manufacturers were so impressed they agreed to a long term association which, I understand continues to this day. Flying then was so different from modern flying – so adventuresome, so enjoyable!… Now I fly a modern TBM850 made in France and a similar route can be made easily and safely as this plane has twice the range at twice the speed at three times the height in pressurized comfort with modern duplicated GPS navigation and long range HF radio. This trip prompted me to study historical navigation. Christopher Columbus sailed across the Atlantic Ocean and sailors continued to sail for another two hundred years around the world having to navigate without the help of navigation equipment to find longitude. With GPS we can now find our longitude and exact position every few seconds. Many of the things that you learn at school are wrong, for example ‘the sun is due south at 12 o’clock noon’. Actually time of Sun noon is not 12:00 GMT – noon varies by up to 15mins at any given time– the sun is south at noon only 4 days a year! At the time, the challenge of calculating longitude was an insurmountable problem for the British Fleet. After two thousand seamen were drowned off the Scilly Isles when the fleet were returning from the Mediterranean, a prize of £25,000 was offered by Queen Anne’s government in to anyone who could come up with a solution. The first person to invent a clock that can go to sea and accurately measure longitude was John Harrison. Harrison, a carpenter with no training, invented the first effective marine chronometer and spent 40 years of his life perfecting it, eventually getting the prize money when he was in his eighties. An accurate clock requires long term consistent lubrication. In the 18th century this was a problem as the existing oils, linseed and olive oil, were not adequate to the task, drying out in hot conditions, thickening in cold. Harrison overcame this by using wood for bearings (lignum vitae, which contains natural oils). He overcame the sliding friction in the escapement by creating the grasshopper escapement. This is the mechanism that releases the clock’s gears to move forward one second each swing of the pendulum. The gears impulse the pendulum through the escapement restoring the energy the pendulum has lost through friction and aerodynamic drag. Nowadays clocks are out of fashion: but time is displayed everywhere and people take it completely for granted. Before the mid 17th century the concept of precise time did not exist. Clocks changed that and in terms of social change are one of the greatest inventions of all times. Dr. John C Taylor with the Midsummer Chronophage. Why did I create the Chronophage? After a successful commercial career, I thought it would be fun to create a clock. I would say only 1% of people have heard of John Harrison and of those, only 1% would know of the grasshopper escapement. 1% of those who do know of the grasshopper escapement would know how that works. John Harrison is my hero, so I decided to create a clock with a grasshopper escapement as a homage to him – and as most people don’t know how that works, I decided to make the escapement big and on the outside. After all, I had been using the benefit of Harrison’s creations of bi-metal in all my business life* and his solving of the navigation problem for my fun flying. 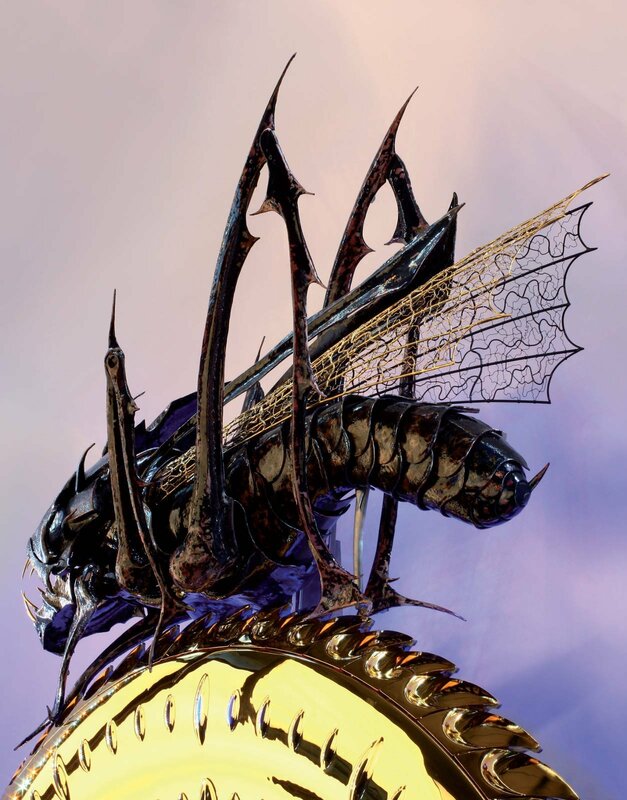 The word Chronophage literally means Time-Eater from the Greek: Chronos [Time] and Phago [I eat]. When I retired from making kettle controls, I had a wish to change the popular perception of time and also, the perception that retirement is an inactive time of one’s life. Every five minutes the clock ‘corrects’ itself and accurate time is shown through the light slits. 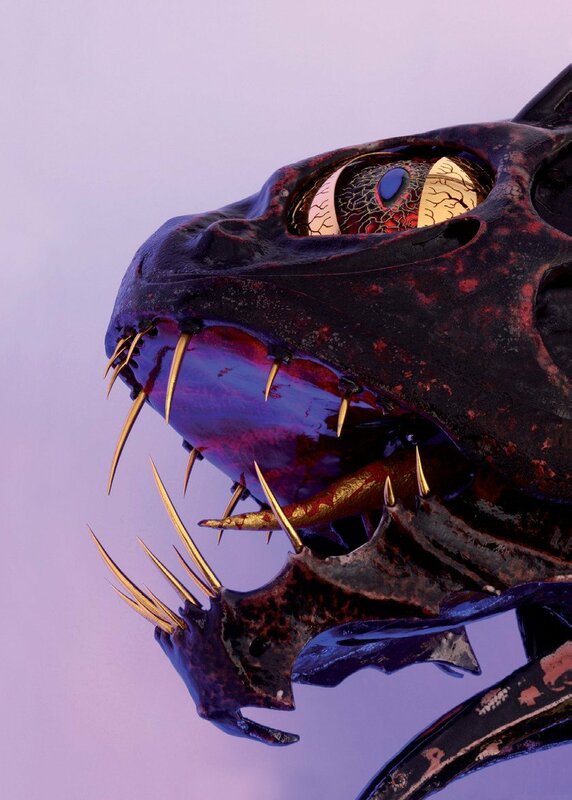 Walking atop the 1.5 metre face of The Midsummer Chronophage is a large kinetic sculpture of a mythical beast. The creature, an integral part of the mechanics of the clock, appears to devour each minute as its jaws snap shut every 59th second . The hour is tolled by the sound of a chain clanking into a small wooden coffin concealed in the back of the clock to remind us that our time on earth is limited. 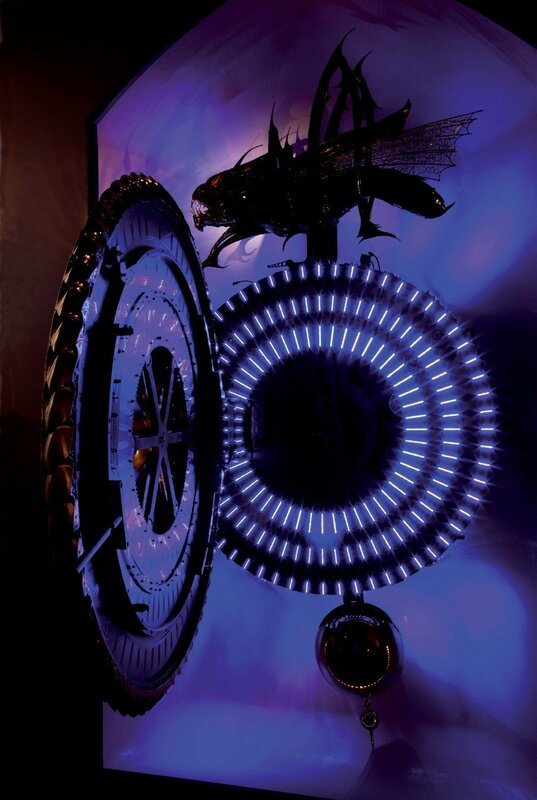 The Chronophage is four things in one: an innovation, a work of art, a philosophical reflection on the elapse of time and a homage to Harrison. I donated my first Chronophage to Corpus Christi College of Cambridge because I was an undergraduate there between 1956 and 1959. It is a wonderful place to study and I hope the clock will have an impact on people applying to the college. Additionally, Cambridge has the oldest court in Britain – anything that is displayed there is going to be there for hundreds of years. I wanted to make the clock of traditional materials that will last hundreds of years, so we used 24 carat plated stainless steel (the time eating creature on the first Chronophage had a vitreous finish – it was enameled). The materials used in my clock will survive 5000 years, never mind a few hundred. I have many passions and hobbies One of my passions is building houses and I have built five so far: two in England and three on the Isle of Man. I like to sketch the concept, layout and details of what I’m trying to achieve and then give it to the architect to create. I love Greek and Roman architecture and it is wonderful going to Greece to see houses thousands of years old. Little atriums are oases of calm in places surrounded by donkeys, carts, children… It provides an escape from the heat and dust of the day. The weather in the Isle of Man is the exact opposite. It would be nice to have an atrium but with a roof over the top rather than open to the sky – an oasis on the inside as a calm from the storm outside. am building a new Palladian-style house of elliptical shape which is totally energy-efficient. I am very keen on energy efficiency. We do need to heat our houses and domestic hot water and this can be generated by the wind, certainly on the Isle of Man. Wind power can be harnessed and stored in a big tank of water for 2-3 days. For ventilation, I will be using cross-flow radiators working on the same principle as water in the engine being cooled in a car. You extract the stale warm airin a room into your radiator and transfer this heat into the fresh air coming in to ventilate your home. You can have a cross-flow radiator where the warm air going out heats the cool air coming in- it provides ventilation without wasting heat. It’s a well known method but not widely used because it’s complicated to implement. When I first went to live on the Isle of Man, I developed an interest in sailing as I found gliding impractical on the small island. I joind the Royal Yachting Association and not only obtained every manner of proficiency certificate, I also taught others to sail as a qualified Yachtmaster Ocean Instructor. Gliding is another big hobby of mine. Not so very long ago I was gliding in Scotland on a wave in the atmosphere of 26,600 ft. There are 3 main forms of lift. The original gliding was done on a hill in the Dunstable downs. Gliders soared like birds along the lift. On a bright summer’s day with puffy clouds the warmth of the sun would concentrate in quarry or town where more heat is absorbed. The warm air from these areas of concentration would rise upwards in a bubble of air so you can circle inside it. This thermal of hot air goes up and expands and at condensation level you get clouds. You can circle in it. However this method of gliding is difficult because you can’t see a thermal, you can only estimate where it is by the location of the clouds; you have to concentrate on finding a thermal and not on the pleasure of gliding. The third one is called wave. There is an analogy with a stream of water into which you throw a boulder. The water would go over the boulder but downstream it would ripple as the boulder causes a wave motion. If you throw a second boulder in line with the rippling water, it would amplify the effect. The same thing happens in the atmosphere. In the mountains in Scotland if you get two of them in the right phase for the atmosphere to interact, it starts oscillating. There are no thermals, but if you have an autumn or winter’s day you find these lenticular clouds (stationary, lensshaped clouds). When the atmosphere is stable you can enter a constant stream of lift and go up and up and up and up in the wave; it’s got to be a streamlined flow. You have time to relax and look at the view. Where you get condensation there is an apparently stationary cloud; when you fly next to the cloud, you can see the air condensing and re-evaporating. The seemingly stationary cloud becomes a fluctuating area of forming and reforming vapour that is absorbed into the cloud. My record is about 200 miles or about 8 hours gliding. 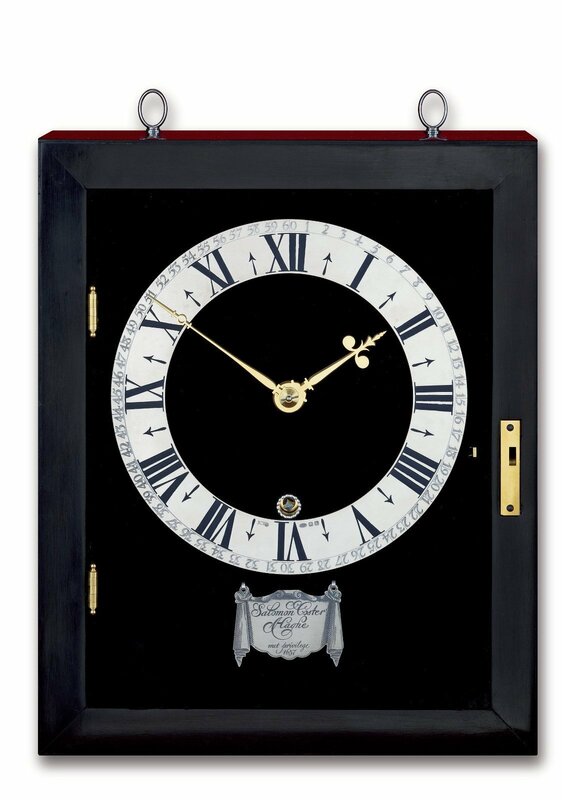 I have a passion for early English pendulum clocks and enjoy the challenge of photographing clocks and I have spent many hours making replica clocks. The early pendulum clocks fascinate me because they were inventions. They were made in Holland for domestic use originally. Christiaan Huygens designed the first pendulum clock by adapting the horizontal clock. The accuracy of this new clock was a paradigm shift in terms of timekeeping. Huygens patented his invention and contracted Salomon Coster, a clock maker in The Hague, to build it. John Fromanteel, son of the London clockmaker Ahasuerus, was sent to The Hague to make the pendulum clocks for nine months. Fromanteel signed a contract with Coster which stipulated that he would get 20 guilders for each clock he made. However, if he used brass and steel supplied by Coster, he would only get 18.50 guilders. No one had challenged this contract so I decided to look into it closely. How did he know what brass and steel he would need to make this clock? If the clock was already developed and Fromanteel was only an apprentice, when he arrived in Holland the gears would already have been cast. All he would learn from Coster is the method of assembling them. But the contract assumes he will supply his own materials – if Fromanteel was there to learn, why would he supply his own brass and steel? The more I thought about it the more it seemed to me that the story was apocryphal and that it did not match what the contract says. The apocryphal scenario has been handed down verbally from Holland, which of course suits them. I contacted Professor Lisa Jardine at Queen Mary, University of London to help me find a student whose research I would sponsor. I believe that Ahasuerus Fromanteel was making pendulum clocks for Cromwell before Coster started making them in Holland. Huygens adapted the design from London, but to make them work John Fromanteel and his father made the prototypes and transported them from London. This theory is supported by the fact that the earliest clocks made by Ahasuerus have square pillars. Coster’s have beautiful round pillars, but a few of them have these square pillars. A better explanation is that Ahasuerus was a blacksmith, and square pillars would have been the natural choice for him, as much easier to make. My interest in early clocks led me to Peter Gwinn who had been managing director of Woolworths between the two wars. He managed to build a formidable collection – the best of the best – and had these wonderful 17th century clocks, including the earliest grandfather clock in the world. He was an old man then and I offered to buy his collection, but leave it with him until he died. I now have probably the best collection of clocks in the world including the first domestic clock in history – a world heritage item that came up for auction at Sotheby’s 2 years ago. The British Museum has more clocks but my collection is more specific. The social change that clocks brought about is equivalent to the invention of the wheel. It is hard to imagine what life would be like if we had no clocks. Clocks have been the Cinderella of all art forms. How is this for a thought: if every painting that has ever been painted by Rembrandt, Picasso, or any artist you name, didn’t exist, the world would be exactly the same, perhaps a little sadder without these pieces of work. But can you imagine the world without a timekeeping device? The social changes that clocks have brought about are immense. There are only a few of these wonderful old pendulum clocks in the world. Replica of the first pendulum clock. They are beautiful – works of art. The only way people can have one and enjoy it is to make some replicas. I have started making replicas – as true to the original as I can make them – and we are just making the third one at the moment. Anybody can make a clock, but a new clock has no history, no interest. A replica has all the history associated with the original that kept accurate time and worked. We will only be making replicas of the finest clocks ( I call them the Masterworks Collection) where it is almost impossible to buy an original, and then a maximum of 100 of each with exquisite quality and craftsmanship. Our first replica (of the first pendulum clock) is £30,000 – less than 10% of the cost of the original even if you could find one. I work on a number of projects at any one time. I enjoy the challenge of finding a solution to a problem, but above all I enjoy the creative journey. *Dr Taylor reminisces on his electric kettle innovation journey: Metal kettles had a safety control it switch off the element if the kettle was switched on with no water inside. With the advent of plastic bodied kettles and jugs in the 1980s, the British Standards Institute required an additional safety method to prevent the kettle from overheating and catching fire if the first mechanisms fail. I designed a new kettle control with a second piece of bi-metal to act as an additional safety control, and in theory it worked. However, I had overlooked that the kettle elements were made out of a copper tube. Even after electrical power to the element was switched off the conduction of heat by the copper tube continued to heat the bi-metal. Unfortunately it also heated up the nylon on which the bi-metal was mounted, softening the plastic. The plastic mount then gave way allowing the safety contact, held open by the bi-metal, to reclose. This was now a runaway situation ending with the plastic vessel catching fire when the element became red hot – disaster! We had an order to supply Phillips and for fledgling company from the Isle of Man, this was massive. I felt crushed by failure, but my motto has always been that you have to turn a disaster into success. The patent of doing this has stood test of time. Learn more about Dr Taylor and the Chronophage projects here.